Austin Lawrence Bridges (1883-1953). As a young man, A. L. Bridges owned and operated a dry goods store in Rays Mill (now Ray City), GA.
Austin L. Bridges was a son of Phoebe H. Moore and William A. Bridges, born December 18, 1882. His parents’ home was located in the former community of Sims, GA which was located about 11 miles south of Ray City. Before coming to Ray City, Austin had gained experience working in the retail trade in Perry, Florida. Perry, Fla., Feb. 15 – Mr. A. L. Bridges entertained quite a number of his friends at the home of Mr. and Mrs. W. T. Calhoun last Monday evening from 8 until 11:30 o’clock on Main street. Those present being Misses Eula Weaver, Maggie Adams, Sadie Greene, Bradley, Mrs. Dubose of Perry, Misses McDonald, of Boston, Robbie Wright, of Jacksonville, Mamie Franklin, Minnie Jones, of Quitman, Winget, of Fenholloway; Messers A. L. Bridges, R. F. Butler, Lee, Adams, Williams, Jones, Wilder, Calhoun. Music was rendered by Messrs. Lee, Bridges, Butler and Miss Maggie Adams. The entertainment was a very delightful one and enjoyed by all present. After al the amusing games were over Mr. A. L. Bridges bid his friend adieu, as he returned to his home near Valdosta Tuesday morning with the expectation of spending a few days with relatives and friends. His friends regret his absence very much, but he expects to return to Perry soon, where he will take up his position with the Empire store. Even so, Austin found time for visits to the family home in Lowndes county, where his circle of friends included his future bride, Ardella Pope of Valdosta. Another acquaintance was Verdie Baskin, of Rays Mill. Misses Florence and Pearl Bridges entertained quite a number of their friends last Tuesday evening from seven until 11:30 o’clock at the home of Mrs. W. A. Bridges six miles north of Valdosta. The affair was complimentary to their brother, Mr. Austin L. Bridges, who is going to make his departure for Perry, Fla. The parlor was beautifully decorated for the occasion, consisting of vines and cut flowers. The evening was spent very pleasantly in playing amusing games. Those in attendance were Misses Pearl and Lilla May Dasher, Della and Nannie Pope, Ola Turner, Verda Baskin, Florence and Pearl Bridges, Messrs. John Turner, Cornel Peters, Walton Pope, Austin Bridges, Lonnie Baskins, Leroy Bridges. Mr. and Mrs. U. F. Bridges, of Valdosta, are visiting relative and friends at Sims this week. Mrs. W. A. Bridges is having her dwelling repaired which adds to the appearance of it very much. Austin Lawrence Bridges married Della Pope on January 23, 1909 in Lowndes County. The groom was a tall young man, of medium build, with brown eyes and brown hair. Within a month, the newlyweds had moved to Rays Mill (now Ray City), GA. The 1910 census shows that the Bridges owned a home on Jones Street in Rays Mill, and that Austin was operating a dry goods store on his own account. In addition, the young doctor Guy Selman and his wife Bessie, also newlyweds, were boarding with the Bridges. Initially, Austin must have found the dry goods business in Rays Mill quite promising, as he had a new building constructed in the town in 1911. But by 1918 he had moved his business five miles south, across the county line to Barretts, Lowndes county, GA. 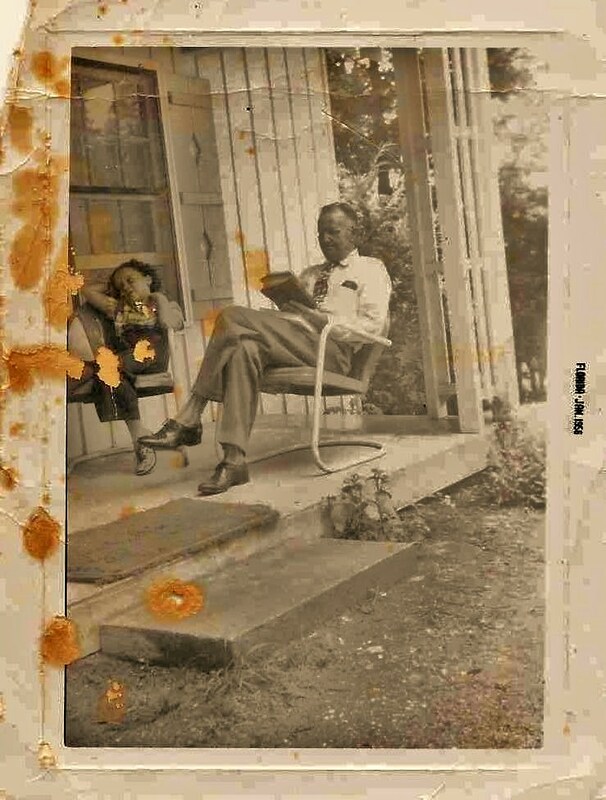 Some time before 1935, Austin and Della moved to Dade County Florida. They rented a home on Sunset Drive in South Miami. Austin had given up commercial trade and gone into the ministry. The Bridges remained in South Miami thereafter. Austin Lawrence Bridges died in 1953.